A fantastic mix of sweet, salty and spicy! 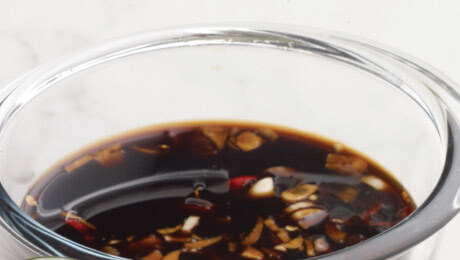 Combine the soy sauce, vinegar, honey and oil in a jug. Add in the crushed garlic and chilli and stir to combine. Pour the marinade into a sterilised bottle and seal.